In line with emerging healthcare trends, post-acute care is an outlet for hospital system efficiency and cost-savings that many hospitals have not explored. Value-based and preventative care measures should entice hospitals to partner with post-acute facilities as increased communication will reduce hospital costs and increase patient care. When hospitals partner with post-acute care facilities readmission and length of stay rates have been shown to drop, as hospitals can empty rooms faster and medical record sharing can reduce miscommunications across systems. Currently, 50% of hospitals refer patients to 18 or more post-acute care facilities, and only 45% of hospitals have post-acute facilities within local systems, increasing the risk of discharge to a competitor’s system and increasing the chance of readmission. With new technology in digital health records, communication across facilities should decrease fragmentation, without risking a loss of care quality. 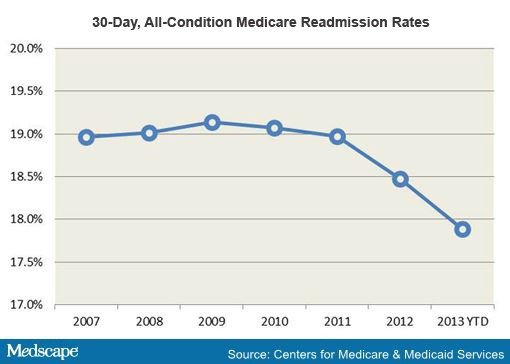 In 2011, 40% of acute Medicare patients were discharged to post-acute facilities; however, 20% of patients are readmitted to acute care facilities within 30 days, often a result of poor information sharing and care fragmentation. 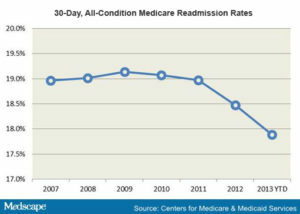 This fragmentation increases the chances of incurring penalties from Medicare’s HRRP. Hospital strategies should incorporate defragmentation across facilities through better communication skills and medical record sharing to better align with the notion of doing more with less in healthcare.